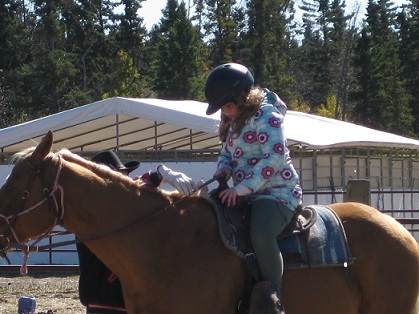 Eight year old Nora Gates loves horses and Westman Dreams for Kids was able to see to it that Nora spent a wonderful weekend enjoying them. Nora had gone through some serious health issues when our foundation had the privilege of meeting this young lady. Through family visits we learned of Nora’s love of horses & her desire to ride one. We arranged for this family to spend a beautiful fall weekend at Elkhorn Ranch enjoying all the wonderful facilities this venue offers. However at the top of the list was a ride on a horse. Molly Kelleher who owns and operates the stables at Elkhorn personally treated Nora and her family to a glorious trail ride. Upon their return the family thanked all those involved for their wonderful weekend and supplied us with pictures that showed us what a great time they all had. 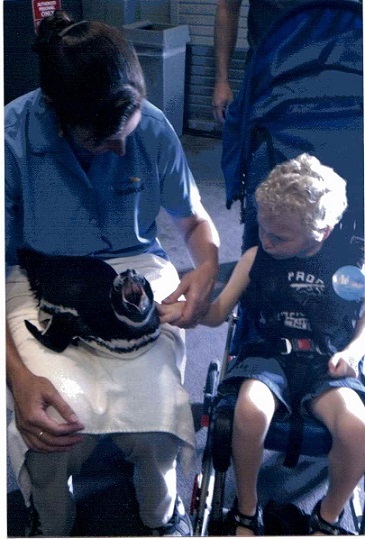 Thanks to the great staff at Elkhorn Ranch and Molly for helping us make Nora’s dream come true!